One of the most important part of pattern production is the testing phase. Here’s a roundup so you can see all the sweet versions of the Josephine Sewing Pattern blouses and tunics that were made to make sure Josephine came out just right. 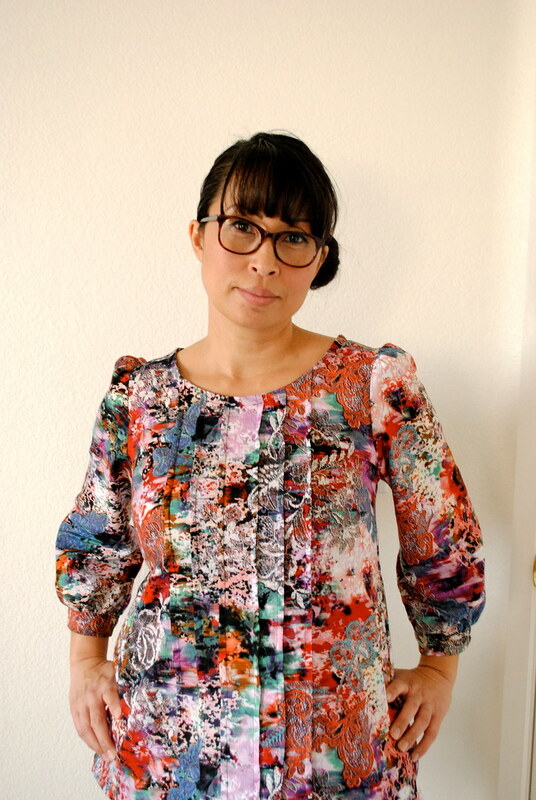 Kelly made her Josephine tunic out of Andover chambray, which you can find in such great colors at Pink Chalk Fabrics. Kelly blogged about the tunic here. Jenna made a Josephine too! She didn’t blog about it, but you should read her blog anyway, because she’s so funny and makes wonderful things. Venus always comes up with such great fabric/pattern combos. Doesn’t this blouse look stellar on her?! Take a look at her Flickr photo stream to see some of the other stuff she’s sewing these days. 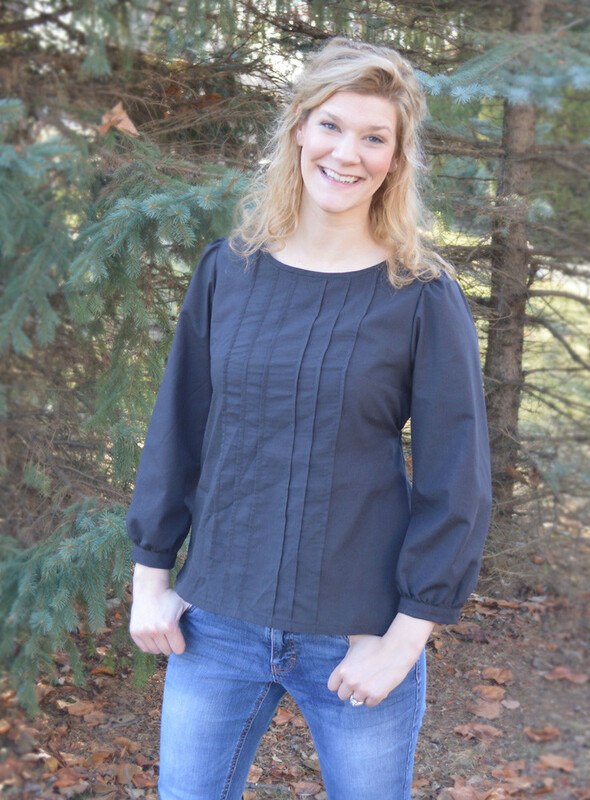 Anna of Noodlehead made hers out of gorgeous black rayon challis, and used shirring on the cuffs. She blogged about it here. I love how this can really dress up or down. 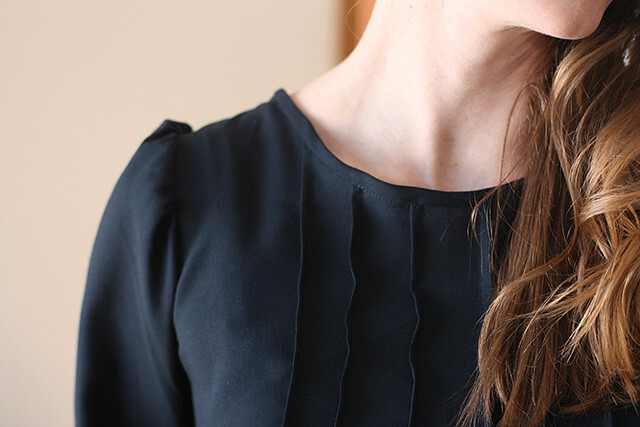 Erin from House on Hill Road made a blouse and a tunic version and blogged about them here. Thank you so much to our amazing testers!!! They help make every pattern better and are essential to the process. You can get your Josephine Sewing Pattern here. It’s always fun to see how you’re all using the patterns, so please add your photos to the Josephine Pattern Flickr Pool. There are already so many great versions of Josephine that I’ve seen popping up around the web! I love this top! I’m waiting on birthday money or a sudden windfall and then it will be MINE! I’ve made 2 so far… great pattern!